If you've ever asked why your stomach is giving you such a hard time, now you can get some answers. Guess what? Now you can check how much gas you have in your bloodstream with a breathalyzer in the comfort of your own home. No, not for fun, of course, it is to find food that is good for your digestive system. It’s called AIRE, and it’s a breathalyzer for your diet. AIRE was developed by the team at FoodMarble as an aid for people who are unsure if the food they eat reacts well to their digest system. 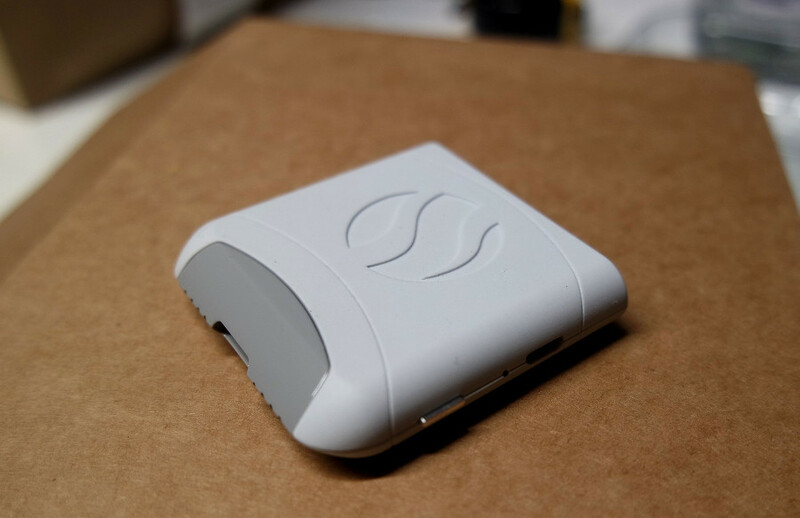 The device is connected to the AIRE app which takes in the data and administers tests to see how your body is reacting to the food. When you eat certain things your body doesn’t agree with, it can cause gas which passes through the bloodstream and from there it goes into the lungs. Typically you’d need to go to a gastrologist for this procedure and AIRE certainly isn’t a replacement for that if you have a severe infection of some kind, but it can help you see what isn’t working with your system. Sounds easy right? Well, there is some work to it before getting the results. First, you have to exhale into the device on an empty stomach. This will show your Fermentable Oligo-, Di-, Mono-saccharides, and Polyols (FODMAP) levels. If you’re wondering what the hell FODMAP is, it’s a type of carbohydrates that are found in some foods that ferment into gas after you consume it. After the first results, you will mix the FODMAP packet with water and drink it. The packet comes with AIRE with the purchase. From then on you will have to monitor the results every 15 minutes for the next 3 hours or until you’re done digesting. Make sure you have nothing to do for the day when you decide to invest time to find how gassy you are. After this process, the device will be able to figure out how your body responds to certain foods. The app features a food logger where you can keep a track on what kind of foods you eat and how your body responds to these foods. In short, AIRE helps with bloating, constipation, abdominal pain, and similar symptoms. Quick side note for the people who may think they have a problem with gluten: AIRE is not designed to detect gluten-related problems. Don’t forget this device cannot diagnose or treat any medical condition, so if you get severe symptoms after eating a certain food, you should go to the emergency or see a doctor as soon as possible. We also have to make it clear that this isn’t anything new as gastroenterologists have been using this technology for a while now but FoodMarble made it easier for people who hate wasting hours waiting at the doctor’s office. 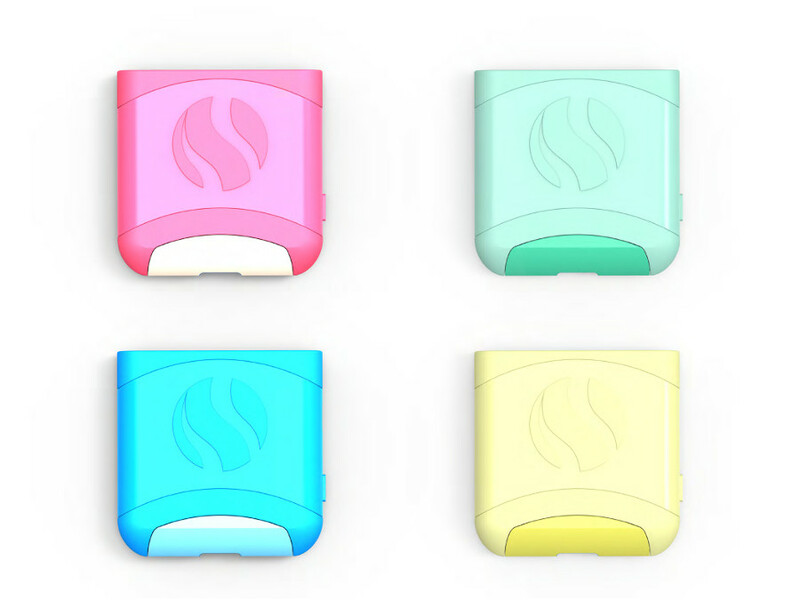 The AIRE breathalyzer is slim and sleek and comes in different colors. It’s easy to use the app, it’s free of charge, and it’s available for both Android and iPhone. If you’re a clean freak or genuinely care about what you put in your mouth, lucky for you, the mouthpiece is removable and easy to clean. You can pre-order AIRE on the FoodMarble website for $149. The shipments will be starting this fall. I put my pre-order in for this. I feel it will be a major benefit to my health. I cannot wait to get it! Some people have bad breath because that is just the way it is I guess. Is this gadget going to be something that helps them take care of it? Gotta have the pretty colors options 🙂 That is a selling point right there for some people! Very interesting. You can get a lot of information for your health from knowing what is going on in your digestion process. I think it’s a great way for those that like to self-diagnose. Just because this is user-friendly, I am going to say that it would be worth a try to see what is going on in my stomach and how I can help keep it healthy and working properly. Great product! I agree. The system seems to be pretty easy as long as you are following the specific directions. I wonder if this would help people that have bad breath? I mean, a lot of the time the bad breath is coming from the stomach and if digestion has anything to do with it, this should detect that right? I like it. Not only will you get some valuable information, the process should be easy for any consumer to do and that makes it even more valuable. Very good point. As soon as you can find that information, there is a lot you can do with it to improve your health. Apparently, a lot can be found out when analyzing your breath. I have read that over the years. This seems like a nice, easy way for any consumer to get some information that could be beneficial to their health. Doctors have talked about this for years. It was getting the information you needed, easily, that was the problem. This should fix that problem. Yeah, I was watching a health related show about that. I was impressed with what you can learn. Having one of these little devices for yourself would be pretty helpful!